Description: West Caicos. Decorative cartouche. Coloured. 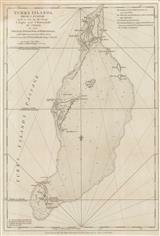 Description: Detailed chart of featuring Grand Turk Island, Cotton Cay, Salt Cay and Sand Cay. 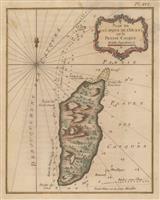 It was published posthumously by Robert Sayer in 1775 and acknowledged as the finest survey of the region for the time.